The geographic centre of Mexico, located 600 km from Puerto Vallarta and 365 km from Mexico City. 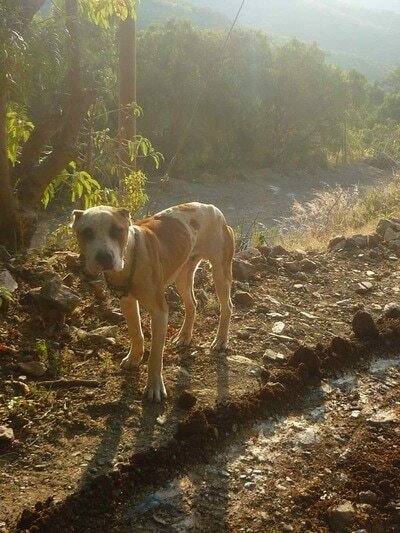 Every day dogs in conditions like these are seen. As well, the local Municipal Animal Control Centre in Guanajuato kills approximately fifty animals per week. 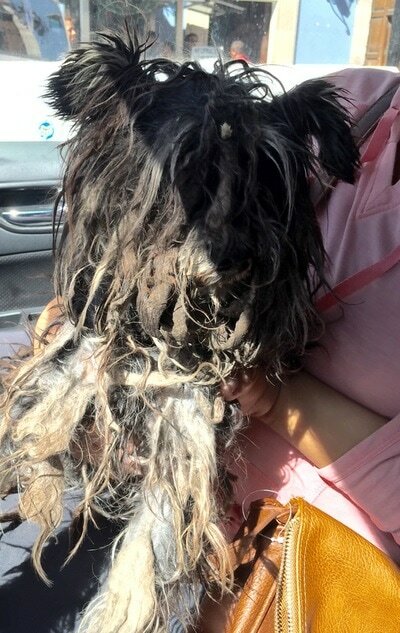 There are several animal welfare and rescue groups, that are always to capacity. Mex-Can is the only organization that offers homes outside of Mexico. 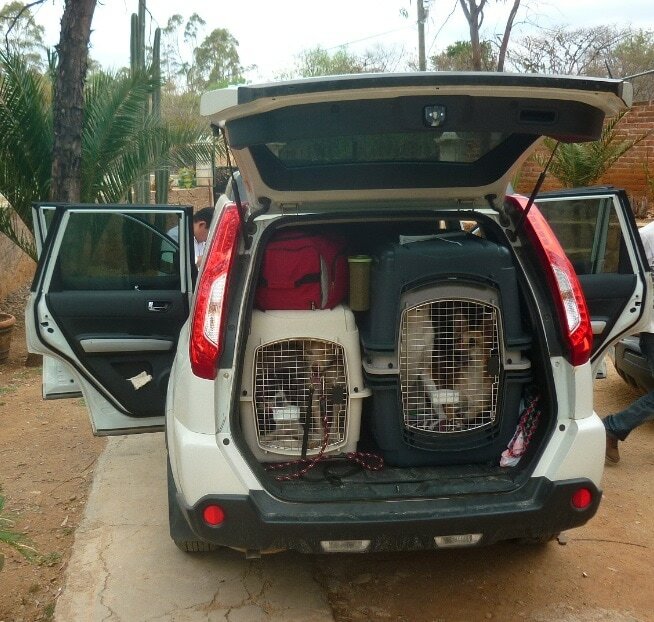 Most of the animals that are taken into the Mex-Can shelter have been rescued by local rescuers. However, some are found during travels or are tied and abandoned at the gate. 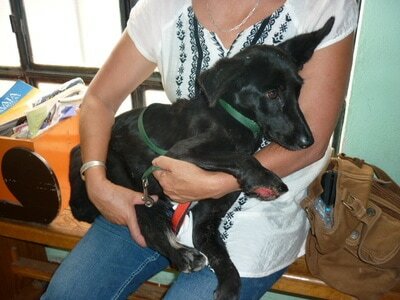 Dogs receive several veterinary checkups. They are immediately wormed, bathed, receive flea and tick treatment, and after a period of fifteen days begin their vaccinations. 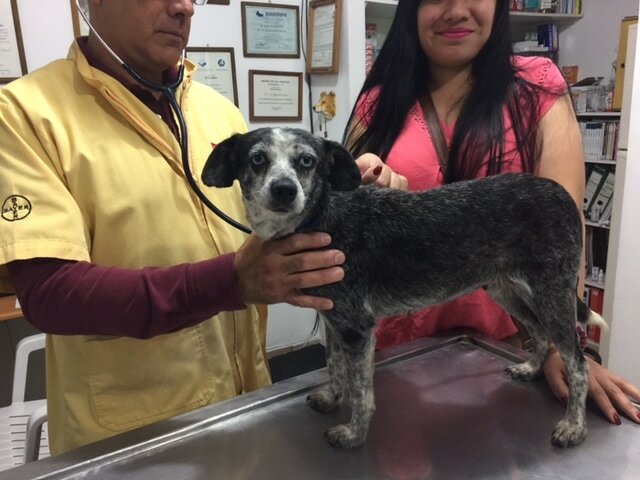 They are spayed or neutered with our vets, who we have used for fifteen years, Dr. Miguel Ochoa Rivera and Dra. Maru Herrera Alberu at the Clinica Can-Cat. WHY NOT PLACE THE DOGS IN MEXICO? 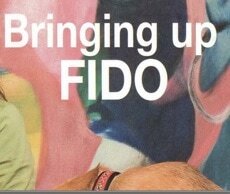 We put a lot of effort, emotion and finances into saving these dogs and bringing them back to health. 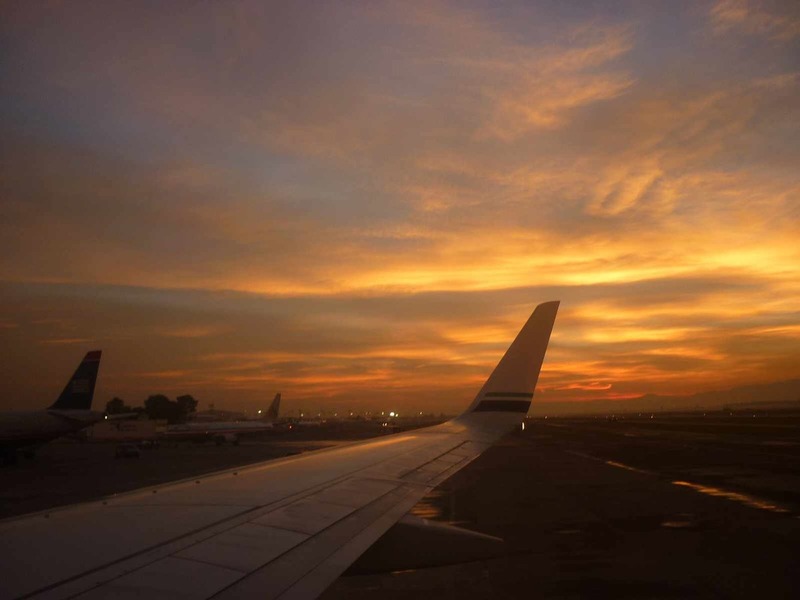 Chances of finding a committed home here in Mexico are very slim. We cannot take the chance that they would be abandoned on the street, tied to a chain or live alone on a rooftop all their lives. They deserve more.. 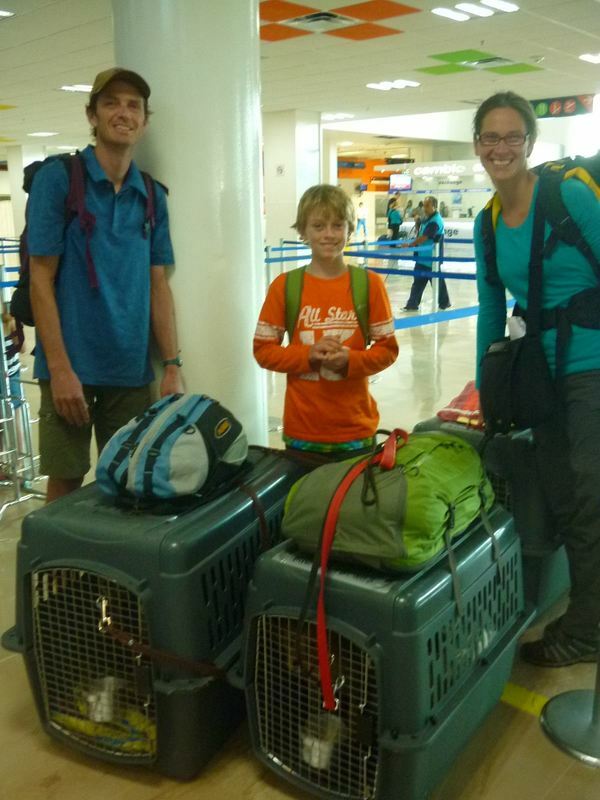 Flight angels Sonja, Jeff and Thor escorting dogs on their flight from Puerto Vallarta, Mexico to Victoria, B.C. 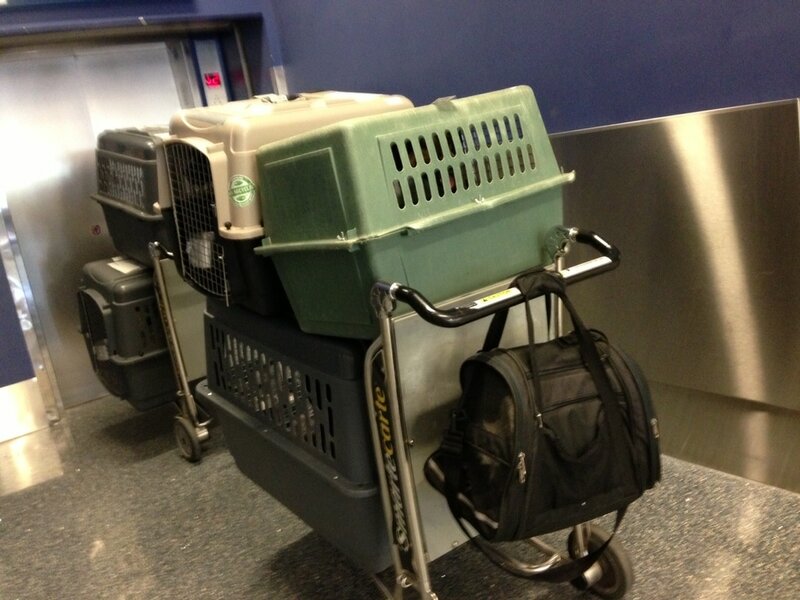 We meet dog escorts at the airport, check them in, pay, and explain all the paperwork for their entry into Canada. 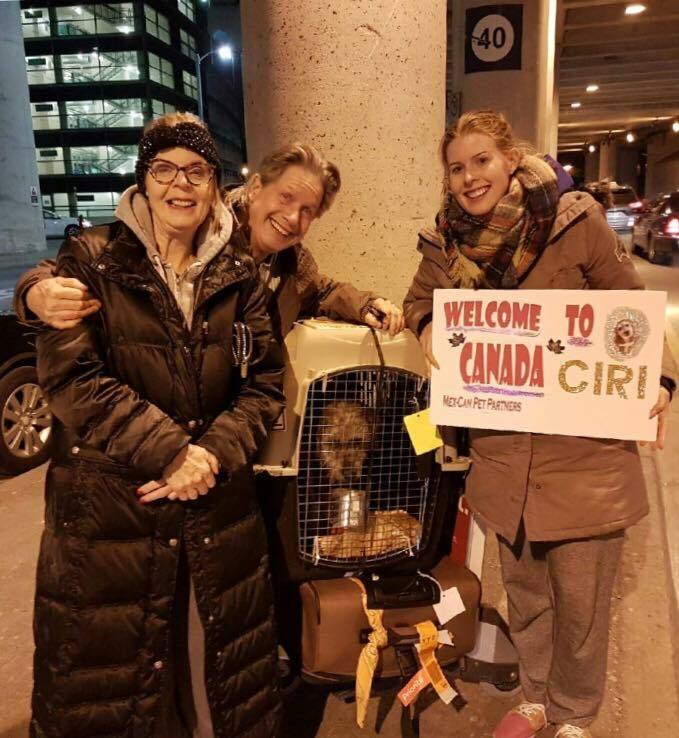 Dogs arriving in Victoria, B.C. 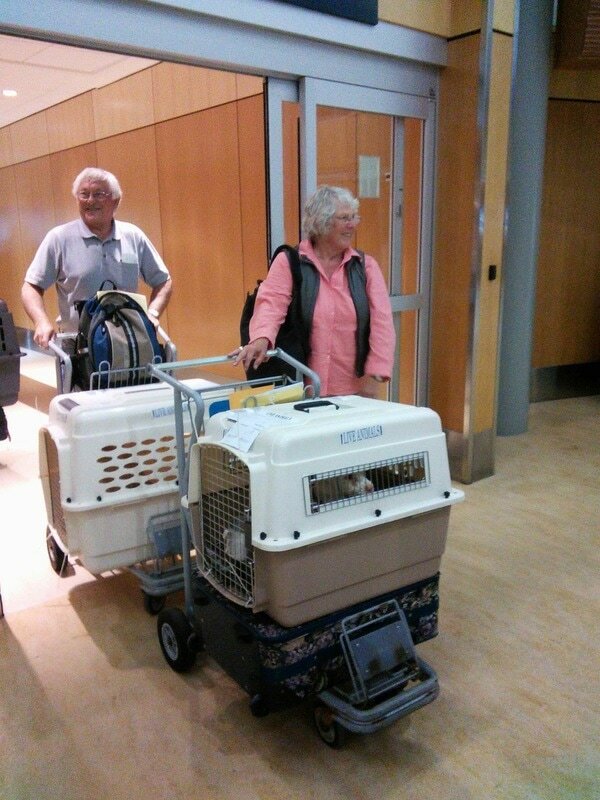 with three-years-in--row doggy escorts, Sue and Dave.